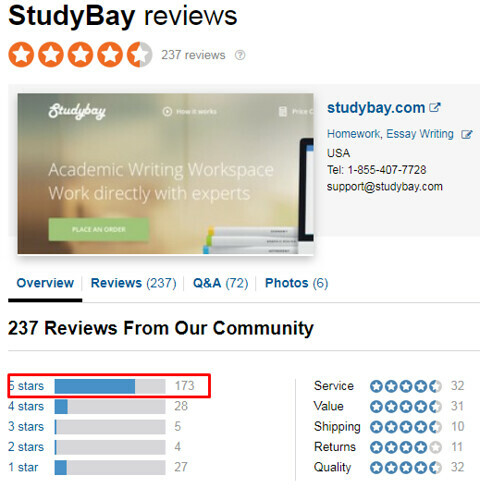 StudyBay... it will be a very interesting review for you because I will show you how you can easily discover that this site is a scam. I will make a lil' experiment to demonstrate that for studybay.com cheating is the way of life. Moreover, you can even repeat the same thing I've done and check it yourself. But first, let's start from the very beginning. StudyBay is a writing service with a bidding system. It means you place an order and then choose a writer who will do your paper for you. You can communicate with a candidate and discuss all details before hiring an expert. Sounds excellent, but I will unearth a great mystery revealing that it is a lie. In reality, you cannot choose a writer yourself. It is a fake, illusion. At best, there are a couple of employees who use the profiles of "writers" to send you invitation messages where they ask you to assign them. Is it legal to act the way StudyBay does? I am almost sure that it isn't. But who cares? When you use the service, you accept all the terms and conditions, you accept the rules of play. StudyBay provides the ordinary type of services - writing from scratch on a required topic. Of course, the company hires only ENL writers with Master's and Ph.D. degree and blah blah blah. But how can you trust this information when you know that the writers who send you messages are fake? How do I know that? Well, here is my story. I placed an order and asked a writer to answer one simple question after he had read my instructions which consisted... well... of this single question. All writers sent me annoying messages where they tell that they are the best and can write me a perfect paper. I got dozens of messages where they begged me to hire them. It was disgusting! Professionals should not behave this way. But it is okay, the funniest things happened when I started chatting with these "experts", "real writers". Here are a couple of examples. One of the writers refused to answer the question until I would hire her. A perfect scheme! I was dying from laughter. Another writer didn't even read my instructions, but just as the others he assured me that he did. And the truth be told, the majority of other writers didn't read my instructions either because they all answered me almost in the same way. So, now I have a question - How can I rely on a writer who cannot even read two sentences in my instructions and lies me that he did?! At this point, it was enough for me to understand that studybay.com legend about real writer is fake. If they are lying to you about writers, why wouldn't they lie you about any other thing like quality, on-time delivery, revisions, refund and so on? Think about it. As I told before, Study Bay writing service has a bidding system which means that every order has to have a special price. However, they lied even about that. To find out the minimum price, it was enough to place a couple of orders with similar requirements and discover the price of a 1-page essay with a long deadline. 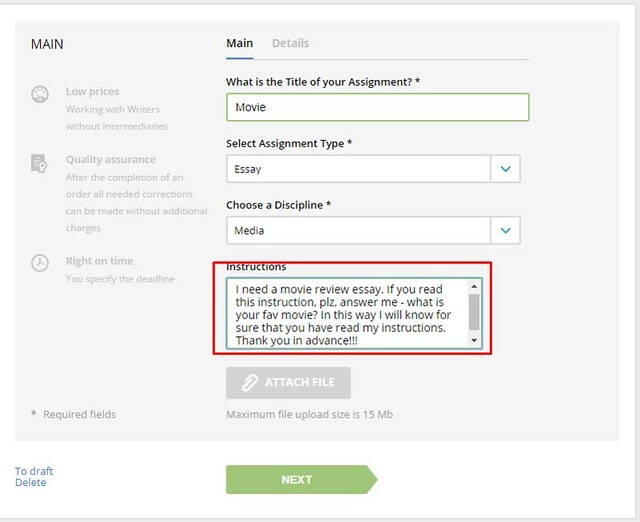 So, on average, you will pay about $18 for a simple essay. There will also be other offers up to 30 dollars and even more, but actually I see no good reason to select a more expensive offer because all these writers are fake anyway. You know, I am used to getting discounts, and that's why I was very disappointed to find out that StudyBay doesn't provide any promo codes for newcomers. Not even a 3% discount for the first or any other orders. Not a chance to save at least some money. Great Online Reputation or Fake Again? I started searching for StudyBay reviews on various platforms where people can leave real feedback. First, I visited Reddit, but didn't find anything useful about StudyBay there, not a word. So, I checked SiteJabber and TrustPilot and here is what I've learned. SiteJabber has mostly positive comments. There is a very low percentage of unsatisfied customers. Sure, you can find there a studybay review where an angry customer shares his awful experience with this company. However, it is okay and even normal because no one is perfect. On TrustPilot, the situation is even better, there are only 3% of unsatisfied customers. So, taking into consideration the statistics, I can say that StudyBay has a brilliant online reputation which is a bit contradictory to what I have learned personally by visiting their website. I didn't find any difficulties during my communication with the customer support team of StudyBay. The agent was fast, friendly, and answered all my questions. Sometimes he was annoying trying to make me place an order, but I have already got used to it. This a common phenomenon when you have a chat with a customer support agent. So keep calm and be patient. Ok, let's return to the order form. It is quite standard, nothing special. You need to indicate the number of pages, write the topic, select a deadline, and include the requirements. You may also set your price, but the majority of writers have their vision of how much money you should pay them. So, partly this option that you can negotiate the price with the writer is just an illusion. There is always a certain minimum price, and no writer will agree to work for a lower payment. The paper I received was written in accordance with my instructions. I got my movie review! Hurray! Unfortunately, the quality of writing was not perfect, I would even say it was average. When the company states it has experts and then you receive a paper like this, you understand that it is not true. Simple mistakes and even typos show that this assignment was not completed by an experienced professional. I was not impressed. If you expect to find any extra features on Study Bay, you should forget about it. The reason is probably because you can negotiate everything with a writer, but as for me, it is better to see the full list of additional services that the company provides, and how much that would cost me.